This is a pretty cool and interesting Mercedes. The Mercedes-Benz 500E is based on the W124 series. 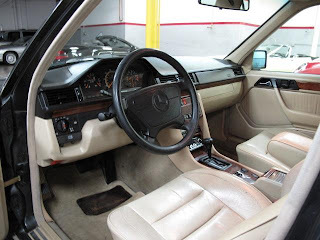 (W124 is the Mercedes-Benz internal chassis-designation for the 1984 to 1995 version of the Mercedes-Benz E-Class.) It was produced in collaboration with Porsche from 1991-1995. Essentially a hand built car, each 500E was transported back and forth between the Mercedes plant and Porsche's factory during assembly. It took 18 days to complete each car. 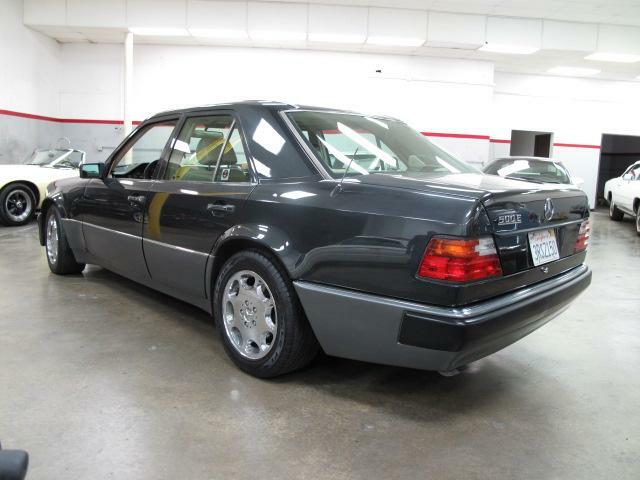 Instead of the I6 found in the 300E the car is based on, the 500E has a 326 HP, 5.0 liter V8 in it. The 500E hits 60 MPH in less than 6 seconds and has an electronically limited top speed of 155 MPH. All 500Es had a 4 speed automatic transmission. 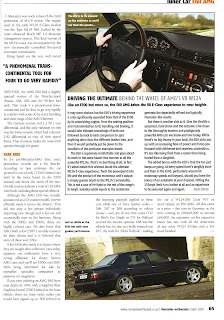 The suspension and brakes differed from the 300E, too. The 500E had a hydraulic self-leveling suspension, 11.8" vented discs in the front and 10.9" discs in the rear, wider wheels and tires along with shorter and stiffer springs which lowered the 500E nearly an inch over the 300E. The body differed only slightly from the 300E with wider wheel arches and a wider front air dam being to two main differences. The interior featured "sport" front seats. 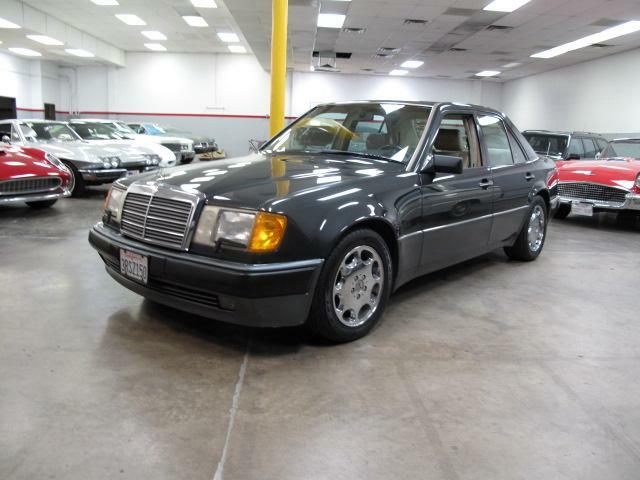 This car is a high mileage example (225,000 miles) and is being offered for $9,995.00. It appears to be in very nice condition. The W124 series of Mercedes Benz cars are known for their durability. However, like any older car, things do break after awhile. Regular Mercedes Benz parts are extremely expensive and I would imagine that anything exclusive to the 500E is even more expensive. With an older, exclusive, high mileage car like this, the purchase price is sometimes less than the money you'll need for maintenance over the next few years. This car being sold by a "consignment" dealer and he doesn't mention if he has any service history with it. Located in Valencia, CA, click here to see the Craigslist ad. PS - If this isn't fast enough for you, AMG made a version of this car with a 6.0 liter engine in it. 0-60 took just 5.2 seconds and it had a "limited" top speed of 175 MPH. It also had exclusive AMG suspension, exhaust system, instrument cluster and 17" wheels. It was never "officially" sold in the US, but a few made there way here. Good luck finding one! I remember the 500E very well. I hate to chirp in with the usual "They are cheaper overseas" crap, but it's true. I'd spend my lottery winnings on a clean 320 Cab. On the other hand there is a bigger picture relating to MB depreciation. Low mileage S series cars abound in the States, and they often sell for peanuts. While they are not very sporty, your typical SEC is a nice ride. The most difficult thing is scanning cars with tacky aftermarket AMG add ons. Kinda like cruising through early 911 listings. I've been trolling around the 4-Matic E class wagons after you posted on them. Those early E class models were rock solid. In Europe, the diesel models commonly served as taxis. I think you don't know what a Mercedes is! Mercedes cost a lot of money because they 'r' for the people that have that kind of money!